The 1984 Winter Olympics in Sarajevo are for a few people a distant memory, but for most, it is only something that has been mentioned in passing on television or in a book. However, for John Jurisic, who photographed many of the events at the 1984 Winter Games, the memories are alive and as fresh as if they had happened yesterday. On February 27, the International and Area Studies Library, and the Russian, East European, and Eurasian Center hosted Mr. Jurisic, who spoke of his experiences as a young man in the former Yugoslavia and the path that led him to the 1984 Sarajevo Winter Olympics. Mr. Jurisic’s journey to the Olympics began in the 1960s when he went to University as a young man to study music. To continue with his music studies, Mr. Jurisic needed a trumpet, but unfortunately, he did not have the money to purchase a new—or even used—one, as he noted that “a good instrument cost as much as an Opel” in those days. As a result, he went to Paris for a while with some friends “from the old country” to try and earn some money. He only planned on staying for the summer, but ended up making “good money” and stayed for over three years. It was during this period that he was offered a position playing soccer for a Canadian league and, accepting the offer, moved to Canada. This excursion would be short-lived though, as he returned a year later to his hometown of Banja Luka right before an earthquake hit the region. With his home destroyed, he lived in a tent for a while and then returned to Paris. While in Paris, he again received another offer from the Canadian league—this time offering even more money to play. Traveling once again to Canada, he quickly realized the difference between promises and reality, and quit the league for good. He then moved to Chicago, found employment as a construction worker, and remained in this profession until retirement. Fortunately, the night before the opening ceremony, the snow came. So much snow, in fact, that the Yugoslavian People’s Army had to be brought in to help clear it! Everybody pitched in to ready the city, and Mr. Jurisic said that this action demonstrated “the resilience of the people of Sarajevo to keep the games going.” He also noted the personal sacrifice of all Yugoslavians, who took a 20% pay cut to build the facilities and pay for the games at a cost of $600 million. As a result, the 1984 Sarajevo games belonged to everyone. He noted more importantly that athletes of all countries were there, as the previous two games had been boycotted by either the West or the East. During the games, Mr. Jurisic spent time on top of the mountain taking pictures of the ski jumping competition. During this event, over 70,000 people were at the base of the jump, which had never before been seen. Mr. Jurisic said that because of the large amount of people, he had to wait four hours for the return bus since the road off the mountain was jammed with cars. Mr. Jurisic spent time discussing highlights of the games, as well as some history. He noted that Sarajevo was nominated as a host city in April 1978 after the first round of voting. The “winter fairy tale” witnessed several incredible events such as the figure skating pair of Jayne Torvill and Christopher Dean of England, who were the first pair to ever get a 6.0 score. During these games, the U.S. Alpine team won five medals, and the “darling of the game,” Katarina Witt of East Germany, won her first gold medal. Mr. Jurisic took great pride in discussing downhill skier Jure Franko, who fell while skiing right in front of him, and noted that Franko became a hero because he said he was a better person because of the fall. At each of these events, an average of 20,000 people attended. In addition, musicians from all over Yugoslavia were there to play for the medal ceremonies. Unforeseen at the time—and unimaginable—Sarajevo erupted in civil war eight years later. During this time, 130,000 people were killed, 200,000 wounded and over two million were expelled from the country. The city of Sarajevo itself was under siege for 44 months, which Mr. Jurisic noted was the longest siege of a modern capital city. Fast forward to today—the Olympic venues are crumbling and riddled with bullet holes, which serve as a reminder of how quickly things change. While smiling, Mr. Jurisic noted that the 1984 Winter Olympics are still a source of pride in Sarajevo. Each year, the anniversary of the games is celebrated. The nickname of “White City”—which was given to Sarajevo by an Austrian journalist during the games—is still around today, and lives on in the heart and soul of people such as John Jurisic. Eastman Klepper is an M.A. student in Russian, East European, and Eurasian Studies. A native of Ohio, he spent 12 years in the United States Marine Corps before completing a B.A. 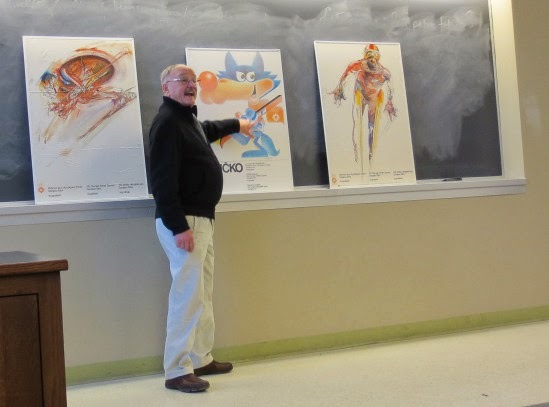 in History at Wright State University in 2013. Eastman is a 2013-2014 AY FLAS Fellowship recipient, with a research concentration in Russian military policy and national security. This blog was originally posted on the REEEC blog on March 10, 2014. Shortly after the meeting with graduate students, the Consuls General gathered for the roundtable. 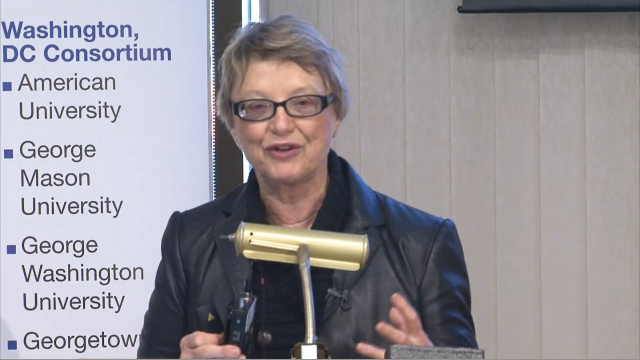 Anna Stenport, Director of the European Union Center, gave the introduction. Following her remarks were those of Bryan Endres, Interim Associate Provost for International Affairs and Director of International Programs and Studies, and those of Carol Leff, Associate Professor of Political Science, who was the moderator. Marijus Gudynas gave the first presentation. He began with a brief history of Lithuania, highlighting its ties to Europe. He mentioned that Lithuania was the first of the former Soviet republics to separate from the Soviet Union. In 1991, the country became a part of the United Nations. 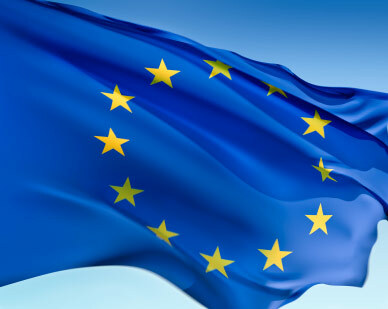 It applied for EU membership in 1995, and became a member of the EU and NATO in 2004. Most recently, it held the EU presidency in 2013. Gudynas noted Lithuania’s highly educated and multilingual population, and its strong economic growth as an EU member. At the conclusion of his presentation, he encouraged the audience to follow him on social media and visit Lithuania. Next was George Predescu, who spoke about Romania. He emphasized that Romania’s EU experience has been very important. EU membership had been a “national goal.” In 2007, Romania joined the EU, along with Bulgaria. Predescu described EU enlargement as a “key factor in the democratization of Europe.” Enlargement is a “significant pillar” to a free and hopeful Europe. Although he acknowledged that EU membership is difficult to attain, it pays in the end because it is a “stimulus for economic reform.” He wholeheartedly showed support for the integration of the western Balkans and solidarity among European states. The final presenter was Robert Rusiecki. He began with a brief history of Poland, noting how Poland and Lithuania formed a commonwealth in 1569 which had the first written constitution. In 1989, Poland became a democracy; in 1999, it became a member of NATO. 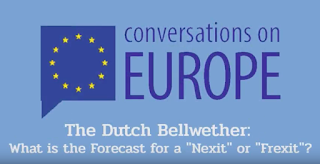 Rusiecki called the big bang the “biggest single enlargement of the EU,” when 10 countries joined the organization, in comparison to the average admission of 3 to 4 countries. According to him, the objective of the EU is to “ensure peace and political stability, secure greater prosperity, further democracy, and reinforce Europe’s role internationally.” Speaking specifically about the Polish case, Poland has made a “great leap forward” with EU membership. Economically, it has experienced fast growth and was the only country to avoid a recession in 2008. The relationship between Poland and the EU is a “success story.” However, Poland still has problems that it needs to address, specifically its population decline, which is also a challenge for other EU member states. After 10 years in the EU, Rusiecki proclaimed that 78 percent of Poles support EU membership and 74 percent consider themselves European as well as Polish. After all the Consuls General presented, they answered questions from the audience. Since the crisis in Ukraine was on many people’s minds, the Consuls General addressed that topic. Marijus Gudynas called Ukraine’s integration into the EU “stolen at the very last moment” by former president Victor Yanukovych’s refusal to sign the Association Agreement. Other questions audience members asked were about nationalism and far-right parties in Europe, EU funds and economic aid, and further EU expansion. All three Consuls General advocated for full EU membership for countries who meet all admission criteria. They agreed that EU membership is “work,” but it is certainly worth the effort. Stephanie Chung is a Ph.D. candidate in the Department of Slavic Languages and Literatures at the University of Illinois at Urbana-Champaign. Her research interests are in Soviet literature and culture, Russian women’s writing, and Czech literature. She received her B.A. in Plan II Honors, and Russian, East European, and Eurasian Studies in 2007; and her M.A. in Slavic Languages and Literatures in 2009 at the University of Texas at Austin. She plans to write a dissertation on Soviet women’s memoirs, with a particular focus on the writer and translator Lilianna Lungina. 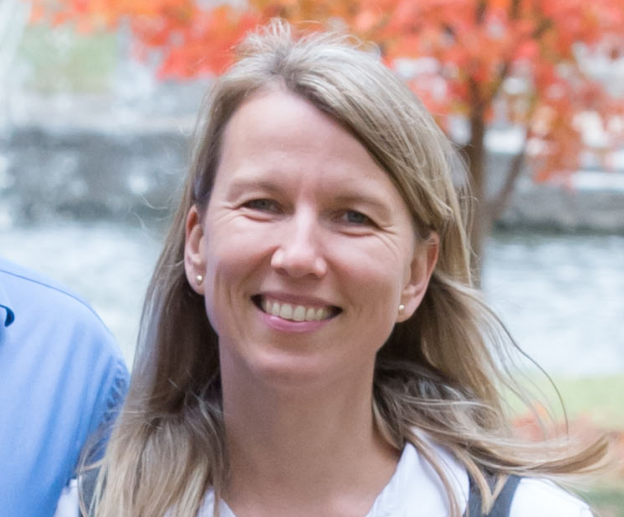 Beverly Crawford, the Director of the European Union Center of Excellence at the University of California-Berkeley, gave a lecture regarding the warming of the Arctic and the uncertain future of the "global commons" and their impact on the European Union. The lecture, which was given on March 7, 2014, discussed what is at stake due to the melting Arctic and how this is causing both trade and resource competition and accelerating international tension. 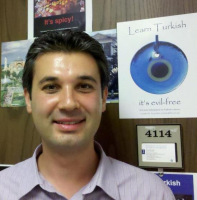 Ercan Balci is an EUC-affiliated faculty member. 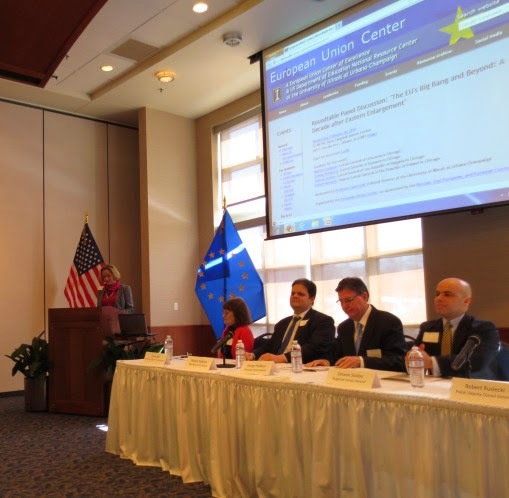 Since 2003, the European Union Center has also provided substantial support out of our US Department of Education Title VI grants towards instruction of European Less Commonly Taught Languages (LCTL) programs as described in the article below. This article was originally posted in the March 2014 College of Liberal Arts & Sciences Newsletter. Certain languages—Spanish, French, and German, to name a few—are mainstays in foreign language education in the United States. In the College of LAS, however, a small group called the Less Commonly Taught Languages (LCTL) Program is preparing students for the reality that other languages are also key to success in an increasingly interconnected world. It is an ambitious task. Though the LCTL program encompasses the native tongues of more than 800 million people, hard work is required to convince American students that learning Arabic, Hindi, or Swahili, for example, can be just as worthy of their time as learning Spanish. With organization and collaboration, the new program is making headway. Housed in the Department of Linguistics, LCTL was formally named a program this academic year. For the past several years instructors in the department have advocated for less commonly taught languages, but they felt that a more organized approach was necessary. They hope that the higher profile of a new program will help them move their efforts forward more effectively. 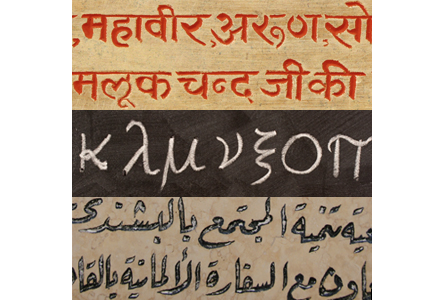 Today, LCTL offers classes in Arabic, Hindi, Urdu, Modern Greek, Persian, Swahili, Turkish, Uzbek, and Wolof. About 400 students are enrolled in LCTL every semester, Balci says, with about 150 of them studying Arabic, 100 studying Swahili, and the other 150 spread throughout the other languages. LCTL’s offerings aren’t the only “less commonly” taught languages in the College of LAS. Aside from Spanish, French, German, Italian, and Portuguese, which have their own departments (Spanish, Italian, and Portuguese are currently in the same department), there are many other languages taught on campus. LCTL is one of the more organized language programs, however. irector of the LCTL program, says. The program has six lecturers and employs 10 teaching assistants across all nine languages. Students can earn minors in Arabic studies, Hindi studies, and Sub-Saharan African languages, which are the three most popular offerings in the program, and Balci says they are planning to add minors in Greek, Turkish, and Persian. LCTL offers at least three years of instruction in all nine languages, with a fifth year offered in Arabic. Students can study abroad through the program. On campus, they can participate in film series, discussion tables, and other events. LCTL also offers an intensive summer study program, called Summer Institute for the Languages of the Muslim World, where students can earn a year of credit through an eight-week course. LCTL’s funding comes largely by way of its partnerships with campus area study centers, through which come the U.S. Department of Education’s Title VI grants for university language and international programs. Some 15-20 LCTL students per year also receive a Foreign Language Area Studies Fellowship from the Department of Education, Balci says. Balci adds that the program welcomes other funding sources, as the Title VI funding varies depending on Congressional budget negotiations in Washington, D.C. They’ve been forced to reduce language offerings in the past due to drops in federal funding, Balci says. A campus without less commonly taught languages, he says, would be a mistake. Languages that are uncommon in the United States are much more common elsewhere, and a student hoping to launch a career or pursue some other endeavor could go a long way by being proficient in a language that’s a little out of the mainstream, Balci says. 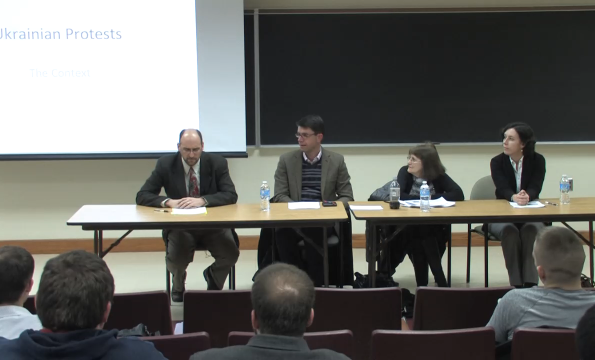 On February 14, faculty members at the University of Illinois at Urbana-Champaign participated in a roundtable discussion, focusing on the current events happening in the Ukraine. On November 2013, Ukrainian President Viktor Yanukovich refused to sign the European Union Assocation Agreement, after years of negotiation. As a result, chaos and protests flared up on the capital city Kiev’s main square, which the locals call Maidan. Since the Orange Revolution of 2004, the Maidan has symbolized freedom. The panelists discussed the country’s current events, the implications of the ongoing political protests, and the enduring symbol of the Maidan. 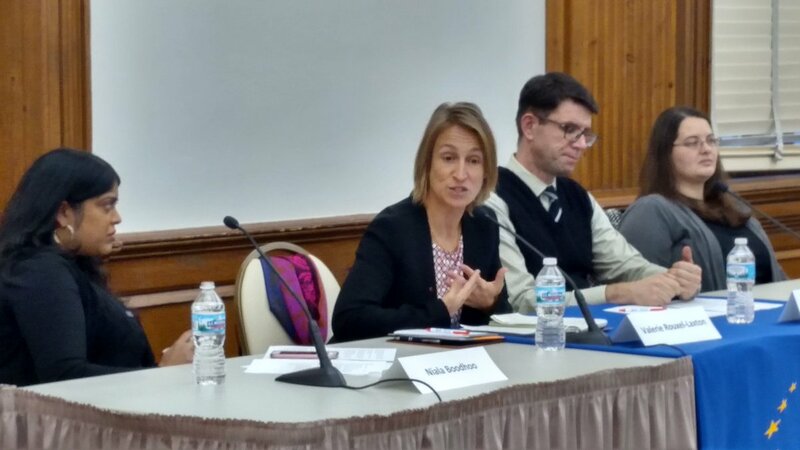 The panelists included Carol Leff (Political Science), Kostas Kourtikakis (Political Science), and Oleksandra Wallo (Slavic). 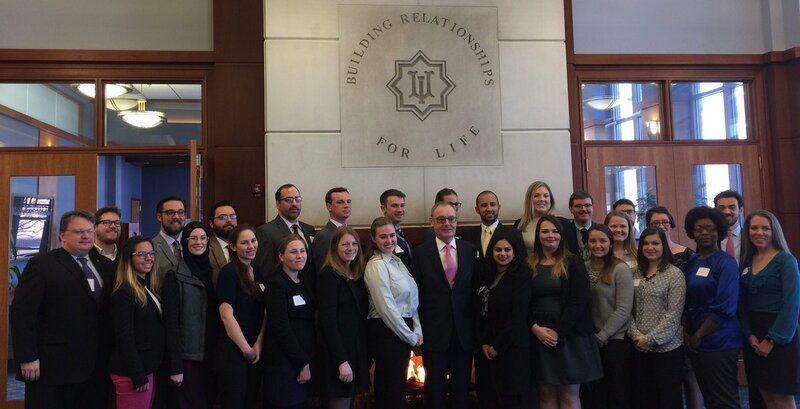 The roundtable was sponsored by the European Union Center; the Russian, East European and Eurasian Center; and Pi Sigma Alpha. 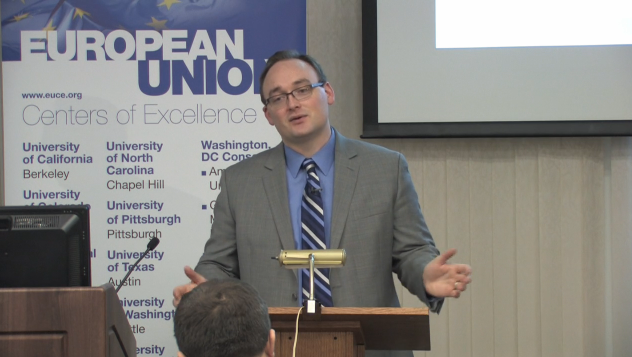 European Union Center-affiliated faculty member, Dr. Stephanos Katsikas has had his article, "Bulgaria and Romania at Europe's Edge," published in the March 2014 issue of Current History. Dr. Katsika's article outlines how, although joining the European Union has been beneficial to both Bulgaria and Romania, the two countries integration into the EU has not been necessarily simple. In joining the EU, the two countries had hoped that this would be a simple solution to obtaining democratic stability, economic growth, and greater opportunity but their accession has not automatically granted them these benefits. This has led to the two countries struggling to meet their obligations as EU member states, and several steps need to be taken in order for Bulgaria and Romania to truly capitalize on their membership of the EU, such as combating corruption and organized crime, advocating and protecting human and minority rights, and enforcing judicial reforms. Being a member of the EU requires countries to actively participate in improving the state of affairs in said country; joining does not equate overnight change. Bulgaria and Romania must work towards achieving the higher ideals of national development and cooperation that being an EU member state evoke. Dr. Katsikas is both the director of and a lecturer for the Modern Greek Studies program at the University of Illinois at Urbana-Champaign. 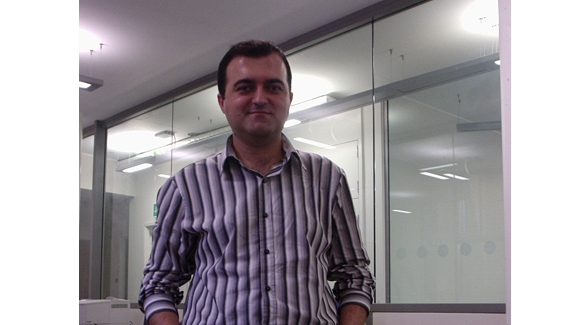 He is also a lecturer for the Russian, East European and Eurasian Center. Congratulations, Dr. Katsikas!